DAYTONA BEACH, Florida (January 29, 2018) - HART Racing impressed in its IMSA WeatherTech SportsCar Championship debut as the team fought and raced to the finish in the fastest-ever Rolex 24 At Daytona. Drivers John Falb, Sean Rayhall, Chad Gilsinger, and Ryan Eversley combined for 719 laps of the 3.56-mile oval-based circuit, taking the checkered flag with a 16th place class result. The race was a record-setting one, as the overall leader completed 808 laps and the GT Class leader also set a new record for completed distance. The four racers were backed by a squad of professionals—not professional race team members— but instead, professionals who live and breathe all things automotive and get the opportunity to take that passion to work every day in their regular jobs at Honda. Making HART unlike any other team on the grid, it is that same passion that also drives them to dedicate their free time to team up and race what they make. In this case, it is the Acura NSX GT3. The team knew that the step up to IMSA WeatherTech was a big one, but was undaunted by the challenge as it looked to build on a long history of success in IMSA including 16 wins in the Continental Tire SportsCar Challenge championship. Months of preparation, most of which took place before or after hours at the office, saw the team arrive at the 56th running of the Rolex 24 prepared and ready to go. The team showed pace in qualifying and secured the 15th spot on the grid. 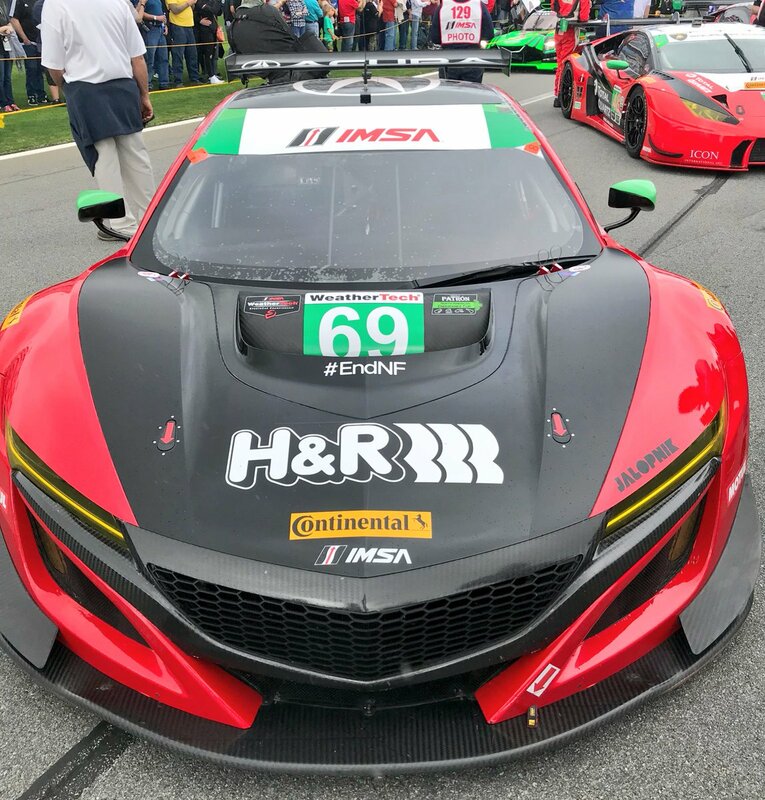 Once the race got underway, experienced NSX GT3 pilot Eversley was on the gas, racing his way to 4th in the order before turning the car over to Gilsinger, who was making his IMSA WeatherTech debut. 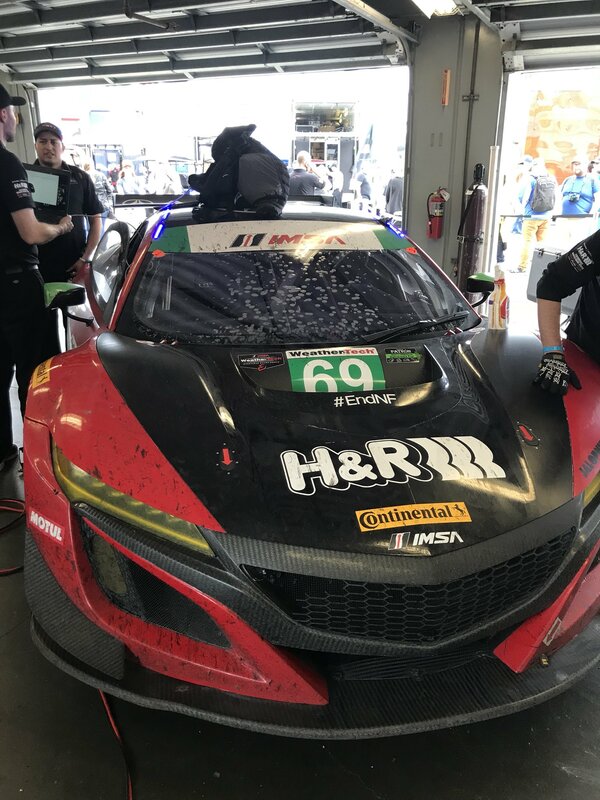 There were no discernible nerves about the task for the Honda employee, as Gilsinger’s stint saw him race forward from 11th up to run as high as third. Rayhall was the next to take over as the race established its flat-out pace and long green flag runs. Logging the laps as the day started to move to night, Rayhall raced as high as fifth and kept the HART entry in the top ten before turning the car over to Falb. While thunderstorms were very much anticipated for Sunday, few had been expecting the sudden and severe rains that enveloped the circuit as Falb was handed the keys to the No. 69. 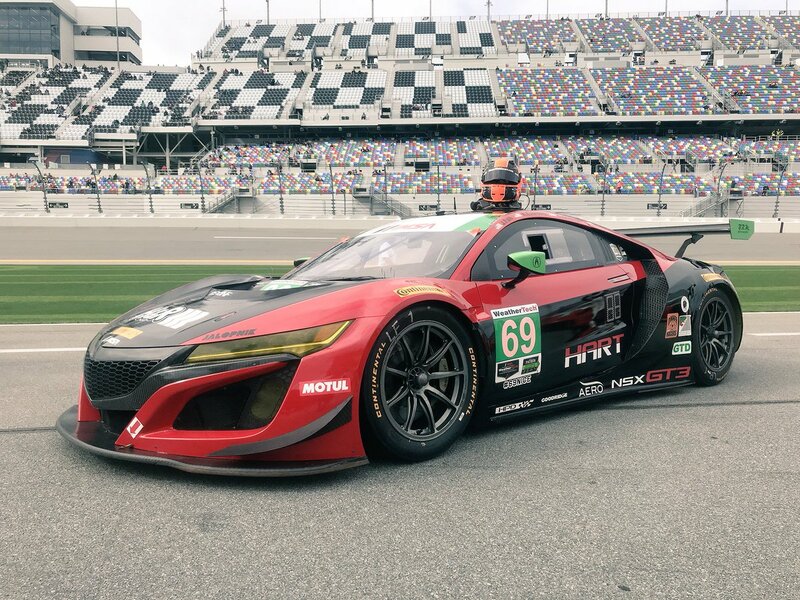 Despite having very few laps on board a GT class machine, and even fewer—none, in fact—behind the wheel of the Acura NSX GT3 in rain conditions, Falb continued to reveal his championship winning credentials with a stout stint through rapidly changing conditions to never put a wheel wrong and keep the car in top ten contention. The foursome continued to swap seats through their rotations, shrugging off the occasional on-track too-close encounters in traffic to keep logging the laps and focus on the finish. Racing is partially designed to discover weakness, and the team effort suffered a key setback with Rayhall on board some 500 laps into the race as a shock went bad, potentially as a result of contact earlier in the race. Quick work from the team for a big, big, task saw the team make the necessary repairs but still lose nearly 15 laps to the leader while behind the wall. Undeterred after being relegated to the second page of the timing screens, the team continued to press forward and log all laps on offer as the race ran at a flat out pace. Making sure to protect the car to make it to the finish, the drivers rallied to bring the No. 69 home in one piece and complete the race after completing 2,559 miles of hard fought racing. The tired HART team members will get a little bit of a rest, and report back to work this week as they already start thinking about Sebring in just over a months time.